Is your parcel longer than 1.2m? Manage your shipments on the move with ease. Download the new APC Direct app now. Sending multiple parcels? Try our bulk shipping tools. Our bulk shipping tools work with popular selling platforms to create an automated process that makes things quick and easy for you. APC Overnight was originally formed in 1994 by a group of very experienced delivery companies, committed to providing excellent service in the UK overnight delivery market. We've managed our expansion carefully in order to stay true to our founding principles; offering exceptional levels of services, utilising the newest and best technology and continually investing in safety and efficiency. 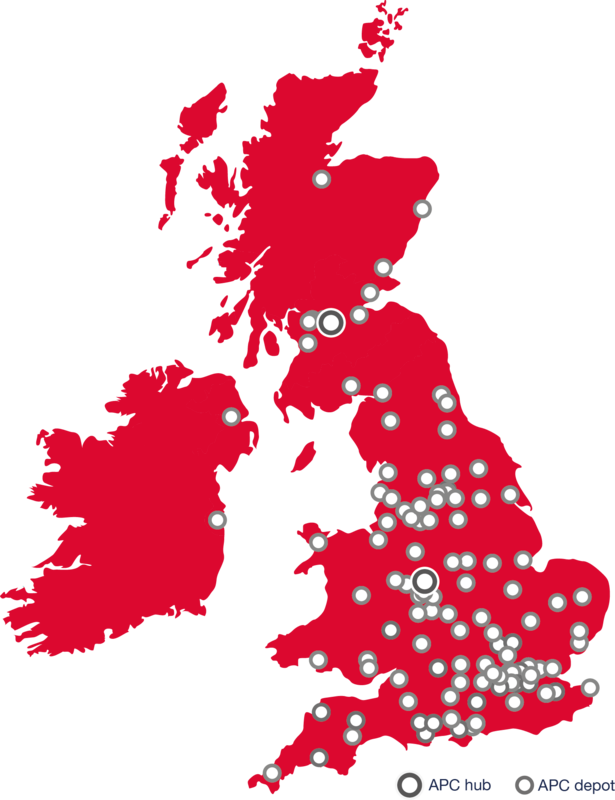 We're delighted to say that we have grown to be the UK's largest independent delivery network, with more than 115 local depots that guarantee a friendly reception and streamlined coverage.